Urban Solar Garden | EnergySaveNewWest | Save Energy, Save Money. 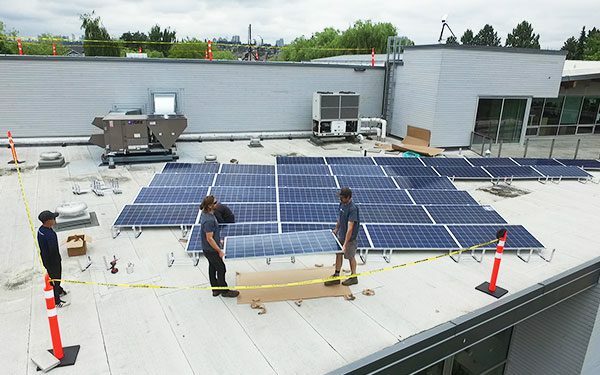 The Urban Solar Garden is a community-owned, rooftop solar photovoltaic array that provides local residents, businesses and non-profit organizations access to renewable energy “Made in New West for New West”. This City-led renewable energy project provides an opportunity for interested local residents, businesses and non-profit organizations to voluntarily subscribe to a portion of the total electricity generated by the array. 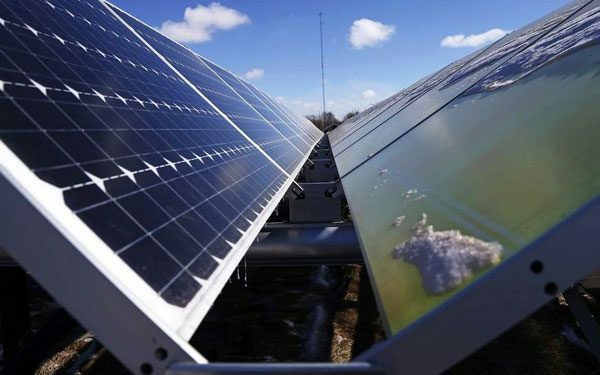 The solar power generated is credited back to each subscriber’s electrical utility bill twice per year, in proportion to the number of panels they have reserved, for up to 25 years. Participants do not need to install their own solar PV system to access solar energy. As grid electricity rates rise over time, so does the value of energy savings for subscribers year after year. Operation, maintenance and monitoring of the solar array will be handled by the City Electrical Utility, and subscribers do not need to pay for maintenance or repairs. Subscriptions can be easily transferred to a new electrical account if you move within the Electrical Utility service area. Participants are involved in a signature community project that demonstrates leadership in energy and environment. NOTE That CO² emissions saved in the Solar Edge display reflect a North American average operational carbon footprint for electricity. GHG savings in BC would be substantially less due to our low-carbon provincial grid. The City’s first Urban Solar Garden array was fully installed and commissioned by the end of June 2018. 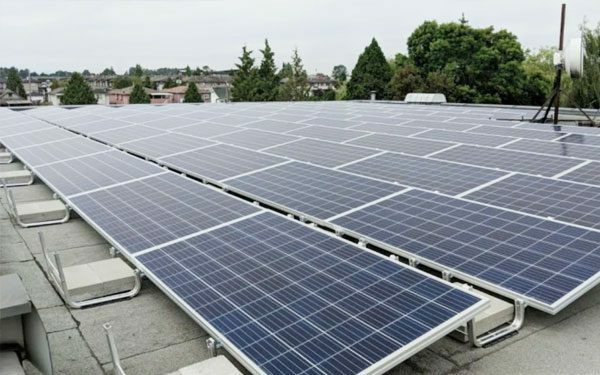 Located on the rooftop of Queensborough Community Centre, this 50 kW array consists of 156 solar panels. Power generated by the array is metered directly onsite, and feeds directly into the New Westminster Electrical Utility grid. Estimated annual energy production for this installation is just over 56,000 kWhs/year. 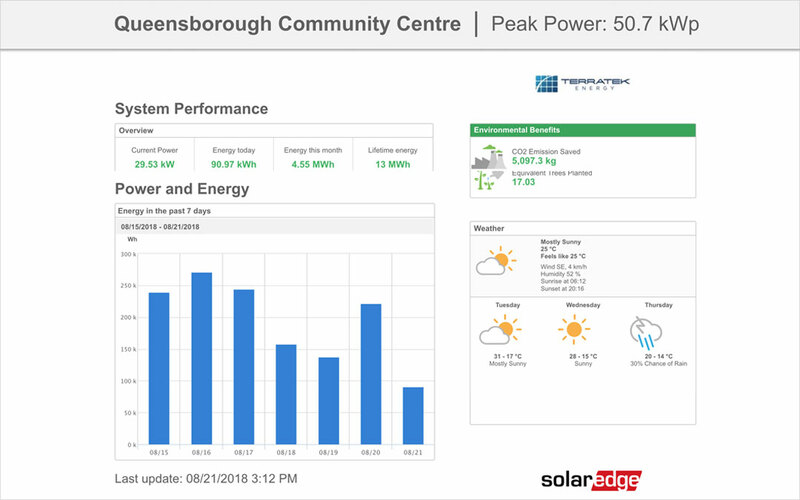 A ribbon-cutting celebration was held at Queensborough Community Centre on July 26, 2018 for the 50+ subscribers to this array and see project timeline below for details. 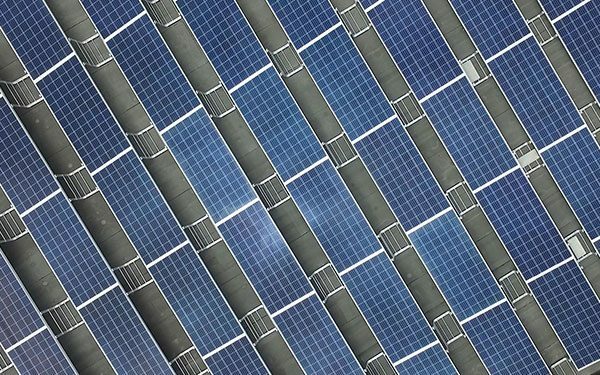 On Monday, October 1, 2018, City Council directed City staff to proceed with the public subscription period for an Urban Solar Garden photovoltaic array, consisting of 156 panels located on the rooftop of the Civic Works Yard, Engineering Operations Building. 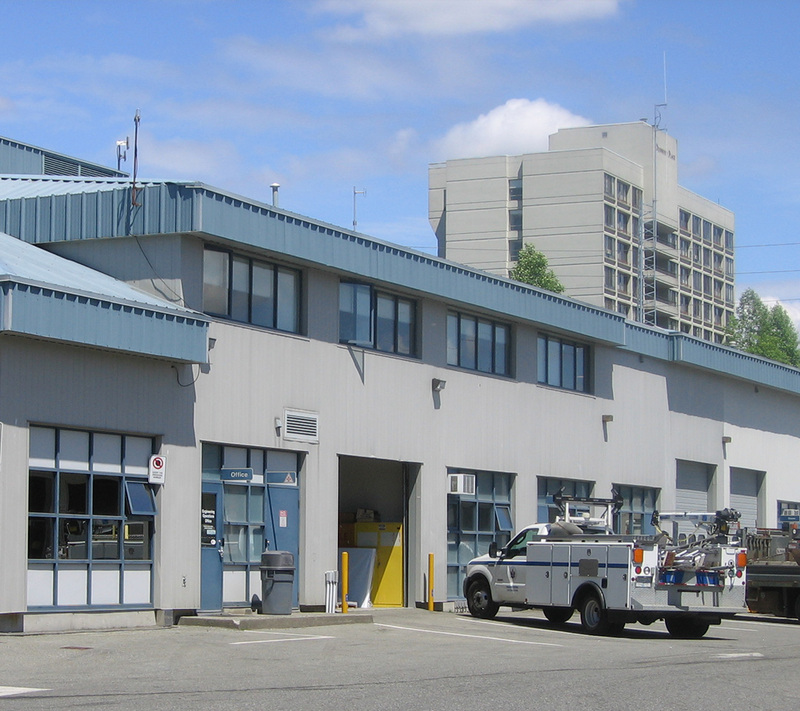 Building upon the success of the first array, the City of New Westminster is launching a pre-sale subscription period beginning on Monday, October 15, 2018. Eligibility requirements have not changed and reserving your panels is easy. Interested subscribers just need to complete a subscription agreement and submit a $500 per-panel deposit to reserve up to ten solar panels. It is anticipated that the final per-panel cost will range between $810 to $860. 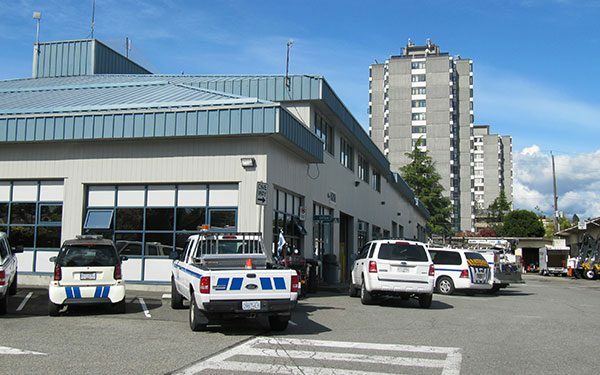 Installation of the second 50 kW array at City Public Works Yard is scheduled to start in April 2019. The City of New Westminster is pleased to announce that our 75% pre-sale target for the second Urban Solar Garden has been achieved. In terms of next steps, the City will now be proceeding with detailed engineering design and construction. 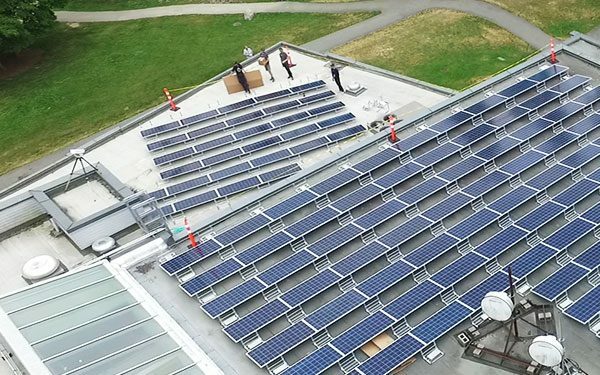 The New Westminster Record recently published an article on Thursday, October 11th highlighting the City’s announcement to launch a second Urban Solar Garden array. On Monday, October 1, 2018, City Council directed City staff to proceed with the public subscription period for a second Urban Solar Garden located at City Public Works Yard. 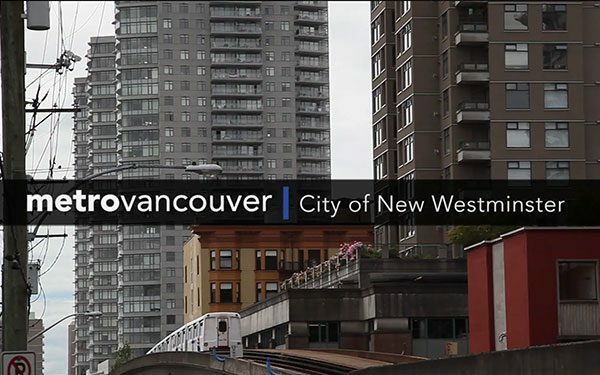 Metro Vancouver releases an update video on New Westminster’s Urban Solar Garden. 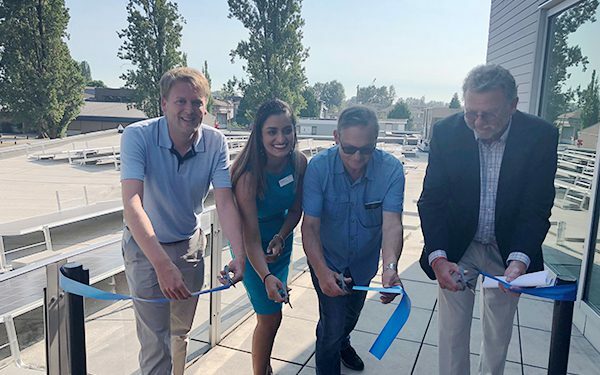 The City of New Westminster hosts official ribbon cutting ceremony on 50 kW solar array at Queensborough Community Centre for investors and general public attendees. CBC News provides an update on City of New Westminster’s Urban Solar Garden project. 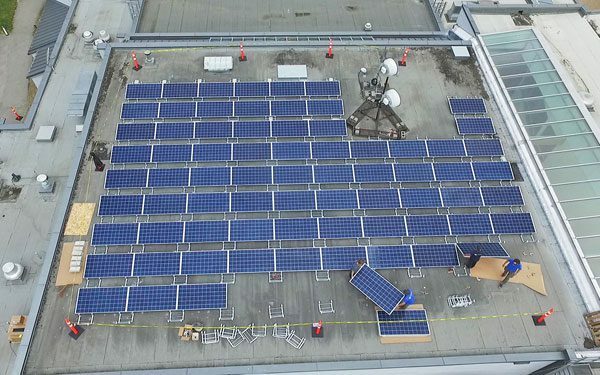 New Westminster Record provides an editorial update on the installation of the Urban Solar Garden. 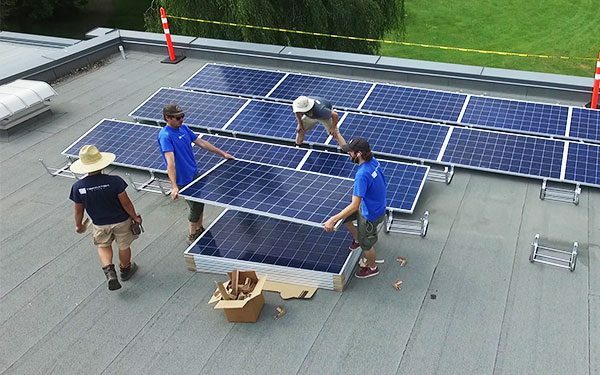 Terratek has started installation of the 50 kW solar PV array at Queensborough Community Centre. 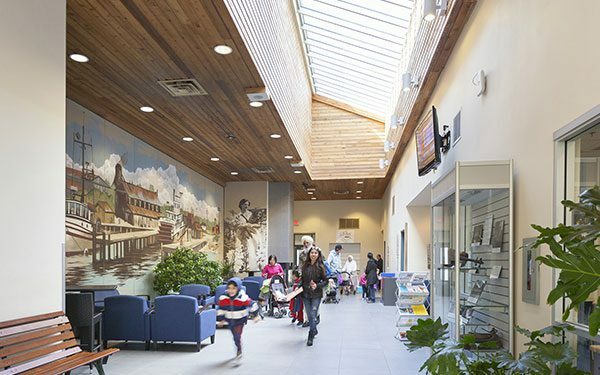 The City of New Westminster confirms that Queensborough Community Centre will be the rooftop location for the Urban Solar Garden. 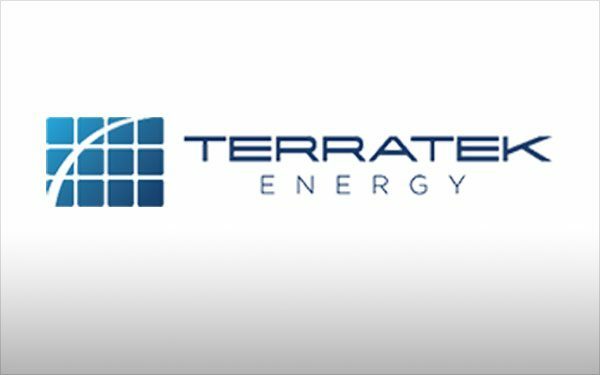 The City of New Westminster selects Terratek Energy as the lead proponent to design, install and commission the Urban Solar Garden’s 50 kW solar PV array. News article published in Vancouver Sun on Urban Solar Garden. "I think this is an amazing and innovative idea. Proud to be in a City that is forward thinking in generating solar energy." The following documents including literature, presentations and reports on the Urban Solar Garden is provided for those interested in learning more about this exciting initiative.